The Spirit of Riga Meets the World. The people of the Latvian capital Riga are looking forward to the 5th CSIT World Sports Games (June 13th - 18th). One name is closely connected to this big international event: Andris Berzins, born 1951, President of the LTSA (Latvijas Tautas Sporta Asociacija/Latvia people's sports movement) and chairman of the Board of organization. "We are facing a great challenge", he stated in an interview with the CSIT press team on Monday. Berzins has been working as a politician for more than 22 years, as minister of labor, deputy prime minister, minister of welfare, mayor of Riga and Latvian prime minister. "By hosting nearly 4000 mainly young people, the organizers will show the world, that we are a multinational and multicultural country", he said on the day before the opening ceremony. 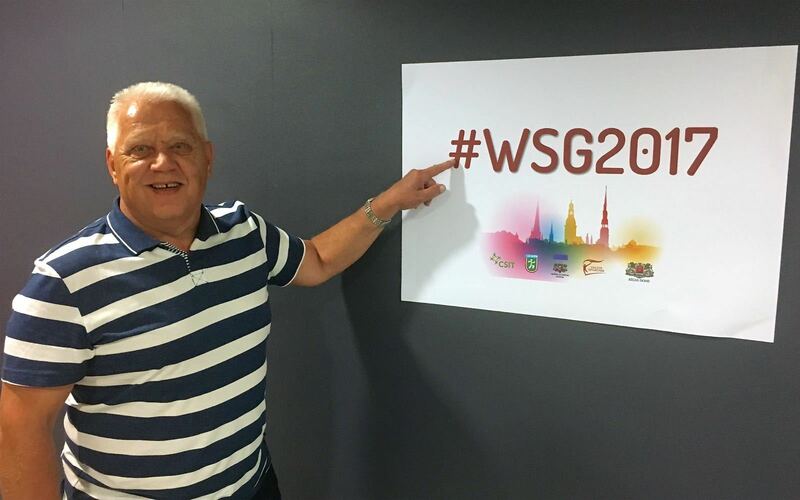 22 venues in Riga are ready and well prepared for the 5th CSIT World Sports Games (WSG) starting Tuesday, June 13th, with a parade of the teams from more than 40 countries through the city of Riga (18.30) and the opening ceremony (20.00) in Skonto Stadium. The Italian Bruno Molea will officially open the Games on Tuesday evening. Molea followed the Austrian Harald Bauer as CSIT President in 2016. A complete map of all sporting venues can be found in the welcome bag provided to all participants and can also be found on the following websites and social media channels. The famous world brotherhood feeling of CSIT will be guaranteed in every single venue and is already shown on Social media by #WSG2017.